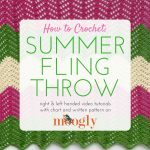 So you’re crocheting along with the latest and greatest crochet pattern, and you come across instructions that say, “enclosing the ch” or “enclose the st” – which means what? Well, let me tell you! 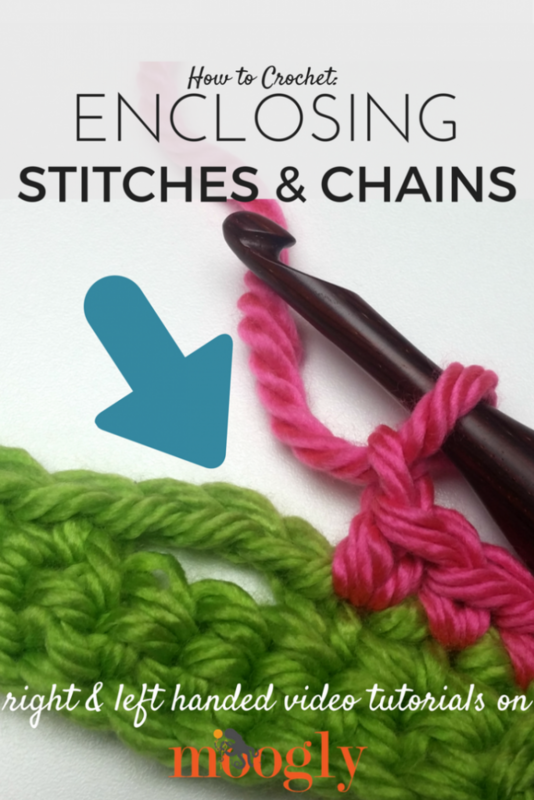 Here’s how to enclose chains and stitches in crochet! 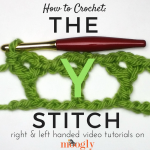 So when you have a crochet pattern tell you to enclose a chain or stitch, it means that you are going to put it on the inside of the stitch you are making, while working into the stitch below it. 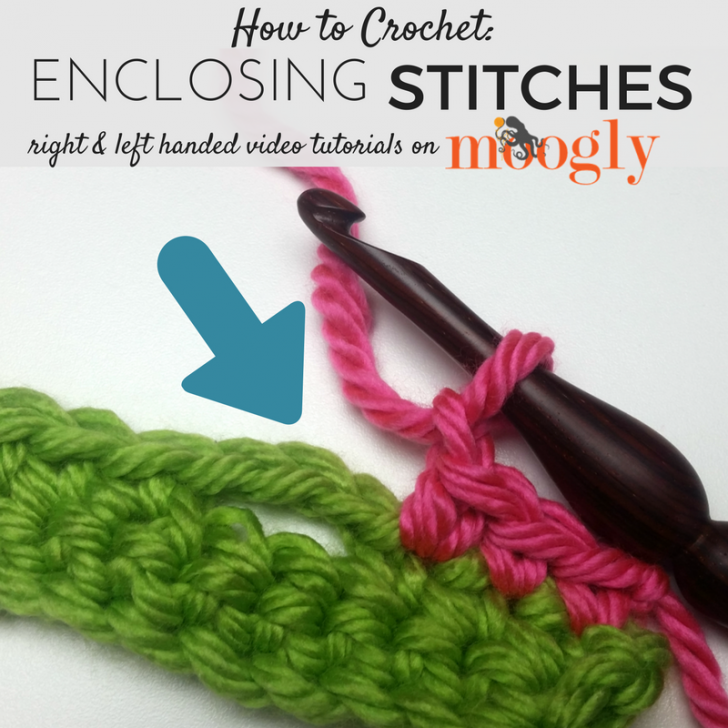 Nine times out of 10, you’ll be enclosing a chain, not a stitch, but the idea is the same either way! 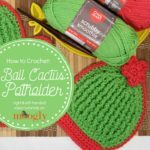 To enclose a chain, insert your hook into the indicated stitch, and then when you yarn over make sure that the chain to be enclosed is on top of your hook, being trapped by the yarn over. Finish the stitch as usual, and done! That’s all there is to enclosing a stitch or chain! 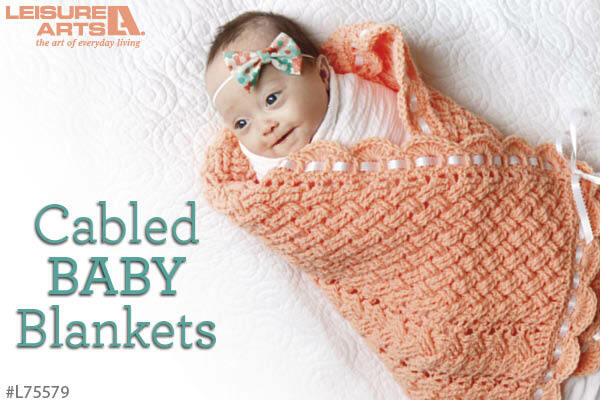 I hope this video and info have helped you out – thanks so much for watching! Just curious – under what circumstances would a pattern ask you to enclose stitches or more specifically chains? I’ve never come across this and just wondered. Thanks for the interesting tutorial.? 🙂 I’m so glad to hear it, thank you Debbie!